Wexford Skin Clinic | So What Was My Exciting News Way Back In July???? 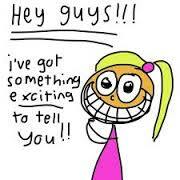 - Wexford Skin ClinicSo What Was My Exciting News Way Back In July???? To say the last 3 months have been mad would be an understatement and a half!! job as he was at his! So what was the exciting news I hear you say??? penetrate to the living layer of our skin! Vitamin A has on the skin. skin from Day 1 to Day 42!! day and of course, I fell in love again!! I now use both Image and Environ together on my skin and all I can say is WOW!!! and we can make an appointment for your Skin Fitness Assessment!